Every farmgirl is a farmgirl every day because the whole concept is a state of mind. 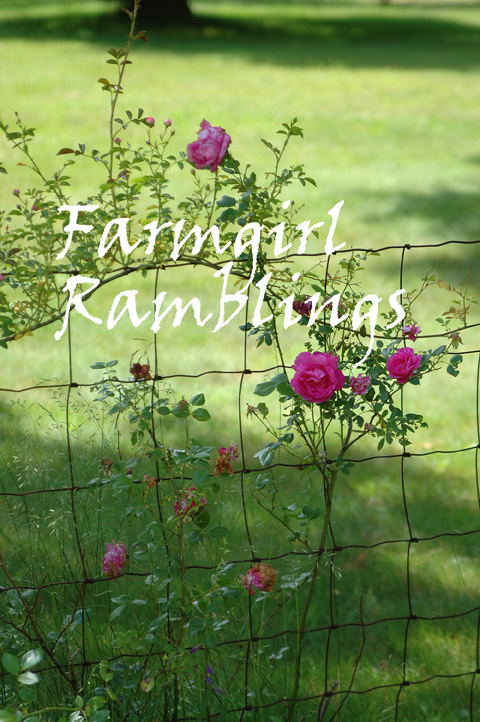 We all have various ways of living the farmgirl life … depending on our circumstances. Our gardens aren’t identical in size or appearance, neither our homes or our “farms”. 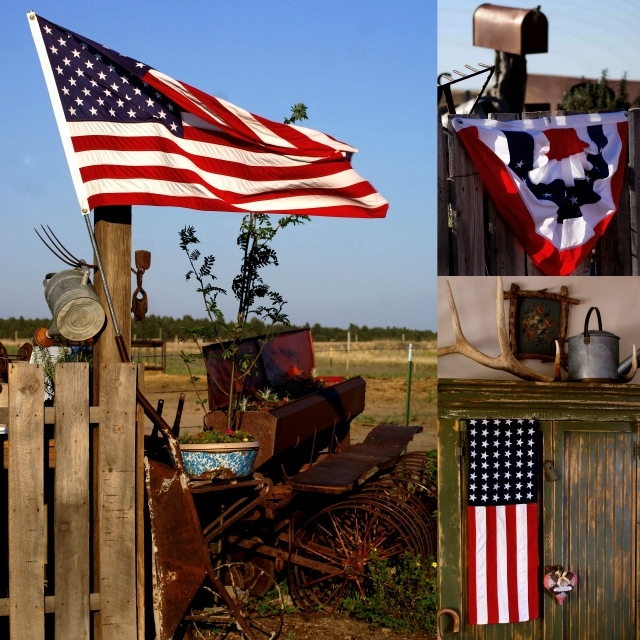 Some of us hang our country’s flag off the fron’t porch while others fly Old Glory high on a pole in their yard. Me, well, an old wheelbarrow handle is a make-do option. The farmgirl way is all over the map. C’mon in and see how my farmgirl pals and I do our own thing … and then share how you express your own unique farmgirlness. First of all, Happy Summer Solstice! What a wonderful thing to celebrate—the longest day of the year, the finalization of our hemisphere’s bow to the sun, a time to start counting down to the long, cozy nights of the winter to come. I can’t help but think that, cyclically, this is the top of our seasonal wheel and we’re celebrating a brief breath at the peak before we continue to spin madly on. Alaska’s state flower, the forget-me-not, likes the lots-o-light! I like Mark Twain’s advice. Isn’t it the truth? A whiner I shall not be. My head is about to explode. Someone had a saying on Pinterest this morning: I smile to hide how completely overwhelmed I am. 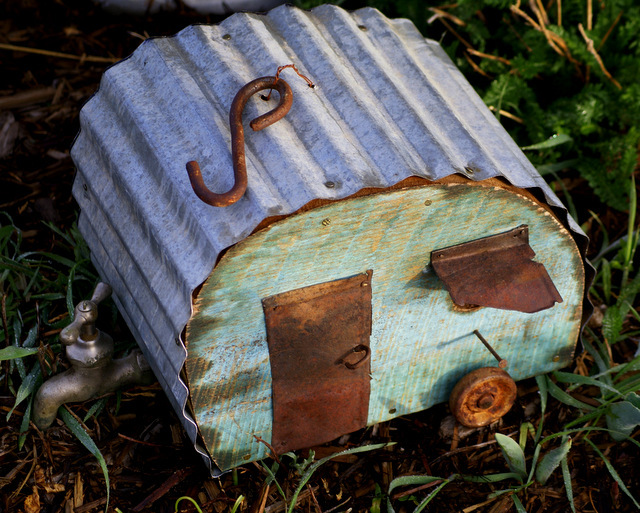 If you’re an avid recycler, there’s a good chance that you seamlessly slip into the role of being an enthusiastic, creative and handy repurpose–er. Summer’s almost “officially” here for us in Connecticut. There’s the old saying, “Time flies when you’re having fun.” It should say, “Time flies when you’re having fun raising children.” We’ve been crazy-busy with lots of “end of year” activities. There’s recitals, field trips, and events galore! I’m looking forward to some less-scheduled, slower summer days. Of course, when you love gardening, grilling, and being outside, there’s much to do before you can rest! Join me, the Suburban Farmgirl, as I work on making the season for being outdoors great! FARMGIRL ALERT! Stop whatever you’re doing and let’s get going! 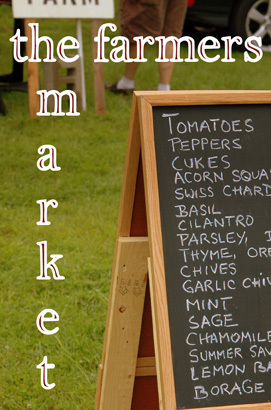 Today is opening day of the Plymouth Farmers Market! Get ready to meet a few of our local farmers, bakers, and talented crafts people. Bring your appetite (and some flash cash) you don’t want to miss a single delicious FARM FRESH treat! Our vacation through the Midwest is over—and what a momentous vacation it was! Our adventures took us from Bozeman, Montana to Valley City, North Dakota, and finally to Minnetonka, Minnesota. The highlight from all of these lovely places and all of the great things we did was…drum roll, please…I’ve returned to Alaska an engaged lady! 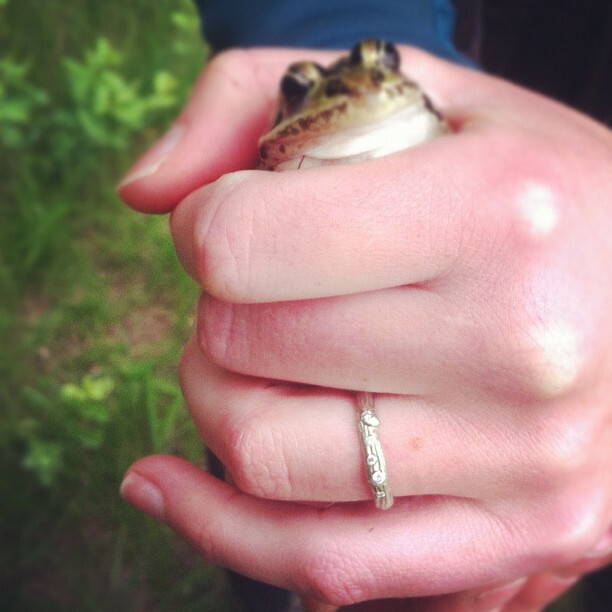 And I’m not just any engaged Farmgirl, I’m engaged to one of the best men out there (in my opinion). I’ve shown you our farmhouse and our outbuildings. So, the only part of our new digs that you haven’t seen yet is the yard. And what a yard it is!